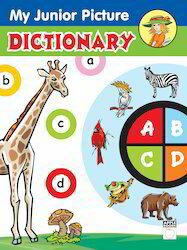 Manufacturer & Exporter of Picture Dictionary & Junior Picture Dictionary. Our product range also comprises of Baby Talk Books, Pre school series books and Board books. Junior Picture Dictionary offered comes printed in 94 pages softbound finish and is a learning aid with support of pictures. Allowing for easy navigation, it helps children to learn new things and defines words in simple and easy to understand language. Further, the colorful picture support impresses children and maintains their interest levels. This interesting learning interface makes the subject easy to explain to children as well as helps in reinforcing word meaning and inspires children to use language more effectively. Looking for Picture Dictionary ?